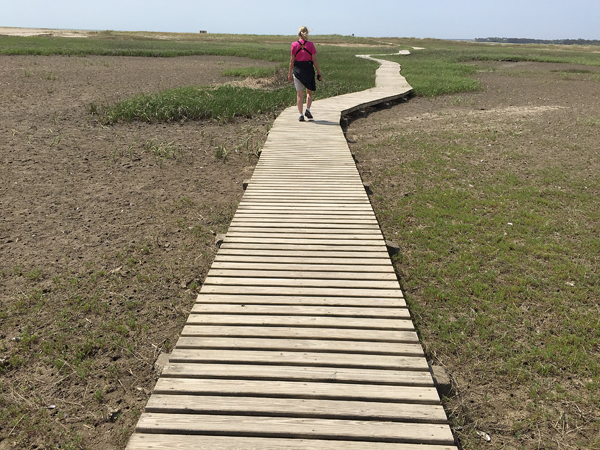 Mass Audubon’s Wellfleet Bay Wildlife Sanctuary on Cape Cod is one of my favorite places to visit. Every day is different with something new to see. The hike out to the beaches is spectacular. Don’t forget your binoculars as there is so much to see. I’m sure you will see lots of photographs of this magic place in my future Blogs. Beach Meadows is such a pretty beach in Eastham on Cape Cod. It’s a great place to go for a walk on the beach or just sit and savor the beauty. White Crest is a beautiful beach with towering sand dune cliffs (probably 100+ feet high). 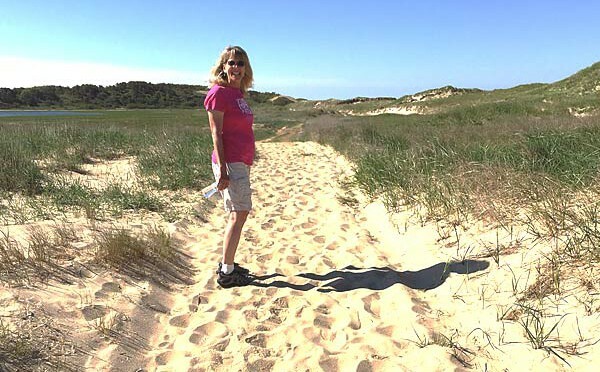 It is a tough climb down the dunes to the beach and even a tougher climb up the dunes back to our car. The beach is great for surfing (and Philip has surfed here since he was 17 years old). The beach is also called Four Mile Beach as you can walk miles down the beach in either direction. Hang gliders jump from the top of the dunes and fly over the ocean. What a great way to spend the day, walking, snoozing, surfing and just gazing at the magnificent scenery. 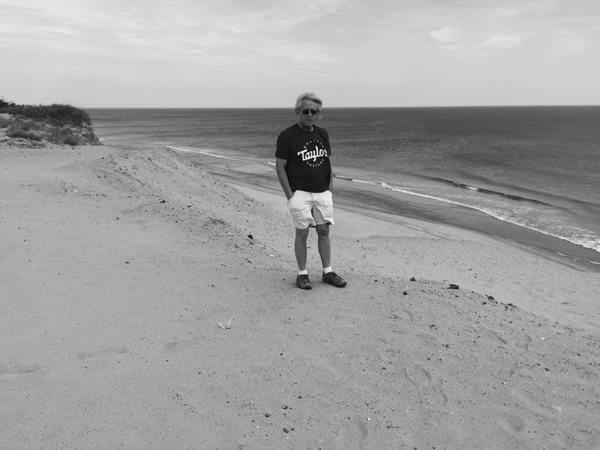 I loved this black and White photograph that I took of Phil on the huge dunes at White Crest Beach in Wellfleet on Cape Cod. Looks 60ish… don’t you think? Doane Rock is a glacial rock located in Eastham, MA in Cape Cod National Seashore. 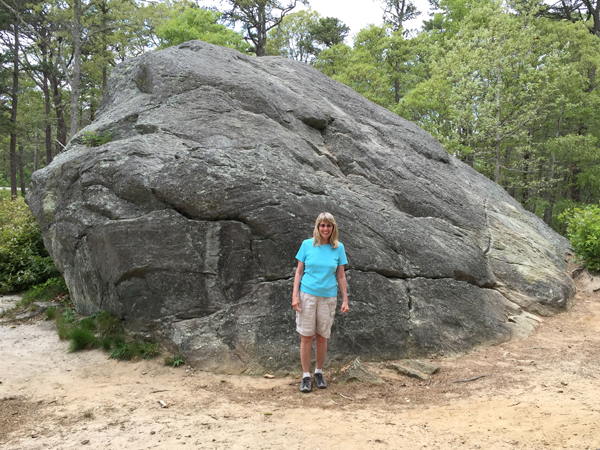 It is the largest exposed boulder on Cape Cod. It stands 18 feet high and extends below the ground an estimated 12 feet. This boulder is named after Deacon John Doane, one of Eastham’s original settlers. The rock was left by the glaciers (18,000-12,000 years ago) between the Salt Pond Visitors Center and Coast Guard Beach. 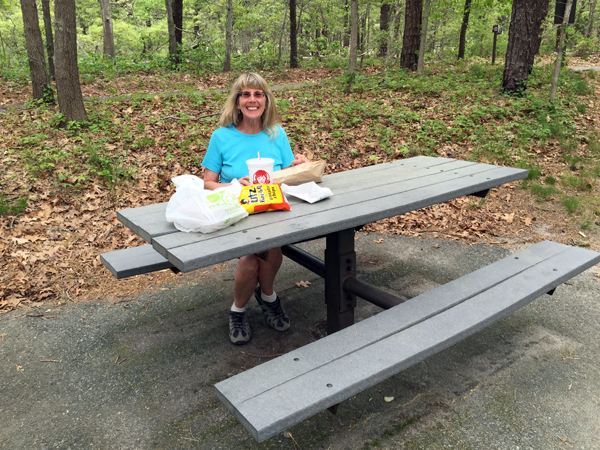 There are also lots of great picnic tables to enjoy that delicious outdoor lunch! This is one of my favorite picnic locations on Cape Cod, right next to Doane Rock. 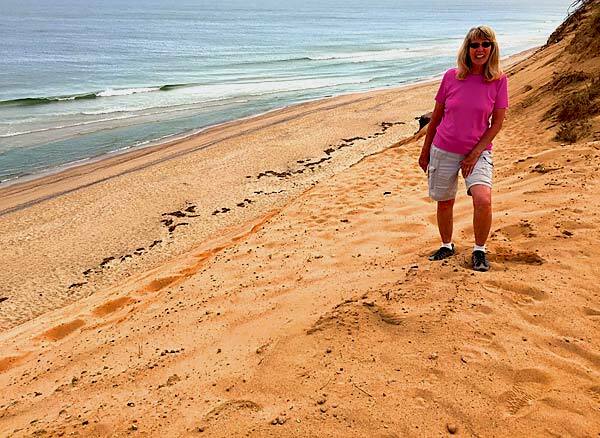 Welcome to my new Enjoying Cape Cod Blog. Having just moved from Colorado, I am excited to share my new adventures on Cape Cod with you! 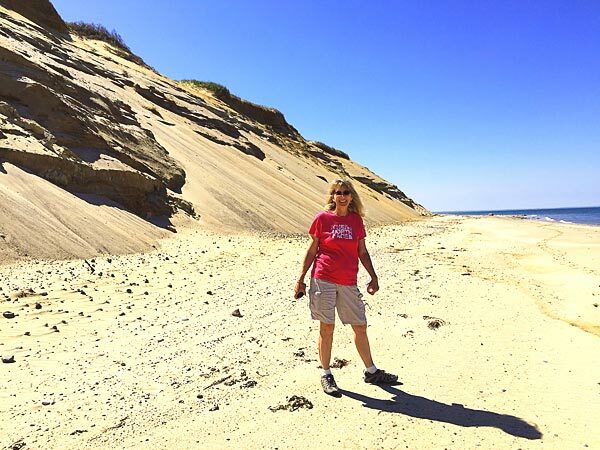 It was a gorgeous day hiking out to Jeremy Point off of Wellfleet on Cape Cod. The weather couldn’t have been much better. It is such a diverse hike…from the bay to the beaches, through the woods and then back to the beaches. Just glorious!